Occurrence Remarks: Pedicularis bracteosa var. 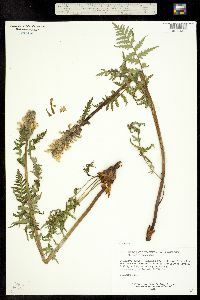 paysoniana (Pennell) Cronq., det. by B. W. Robart, 1993. INSTAAR San Juan Ecology Project.